A last will and testament is a legal document detailing the manner in which you want your possessions disposed after your death. Even though you may not want to think about such matters, creating a will is a wise thing to do. If you die intestate, meaning without a will, a court will distribute your property according to state law. Having a valid will can ensure that your assets will be divided in the manner that you view as fair. To create a valid will, you must meet two preliminary conditions: You must be over the age of 18 and be of sound mind. Being “of sound mind” means that you understand that you are making a will, have a reasonable knowledge of your assets and property, and have the ability to recognize the persons that would normally be expected to share in your estate. State law normally presumes that the testator, the person writing the will, was of sound mind at the time of the will’s execution. A will should state how your want to dispose of your property. Each beneficiary should be clearly identified, as should each asset. Any ambiguity could result in the invalidation of the will or the inability to execute certain wishes. You must be sure to adhere to state law with respect to the disposition of your assets. Some states do not allow you to disinherit your spouse, and many states have specific rules with regard to disinheriting children. 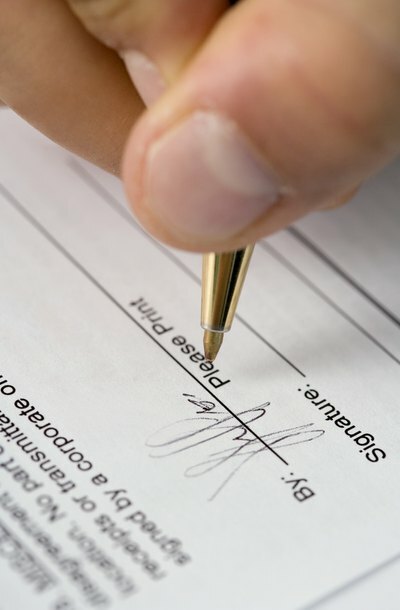 A valid will must be signed by you, the testator, and by two or three witnesses, depending on state law. While some states require the testator to sign the will in the presence of the witnesses, other states merely require the testator to “acknowledge” the signature of the will. The testator acknowledges her signature by declaring in the presence of the witnesses that the document is her will and that the signature upon it is hers. It is essential that every signature meets the requirements of state law as any discrepancy can result in the voiding of the will. In the vast majority of cases, wills must be written documents. Handwritten wills should be avoided if possible, as such wills are not valid in all states or are only permissible if they meet very specific criteria. To reduce the risk of your will being invalidated, create a typewritten or computer-printed will. Wills generated through online programs or pre-printed forms are perfectly acceptable as long as they meet all state law requirements. Sharing property is an important component of many marriages, but when couples divorce, questions often arise as to how property acquired during the marriage should be divided. Maryland uses a system known as equitable distribution, which allocates marital assets on the basis of fairness. Knowing what factors the court can consider as part of equitable distribution, and how you can reduce uncertainty through voluntary agreements, will help you best prepare for the property-division phase of your Maryland divorce. Montana's Uniform Probate Code governs wills throughout the state. Like other states, Montana mandates specific formalities that must be adhered to during the making of a will. Formalities are important procedures that give wills legal effect; without them, a will maker — called a "testator" — could make a will that is contrary to his actual intent.